Combined DVB-T2/T/C Input and DVB-ASI/SPI Output Device. Windows XP, Vista, Windows 7 & Windows 10 Drivers + SDK & Linux Drivers. 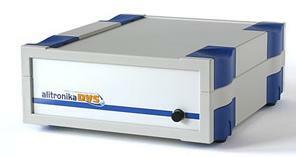 Accompanied by DVSStation3 Alitronika's Application Software. 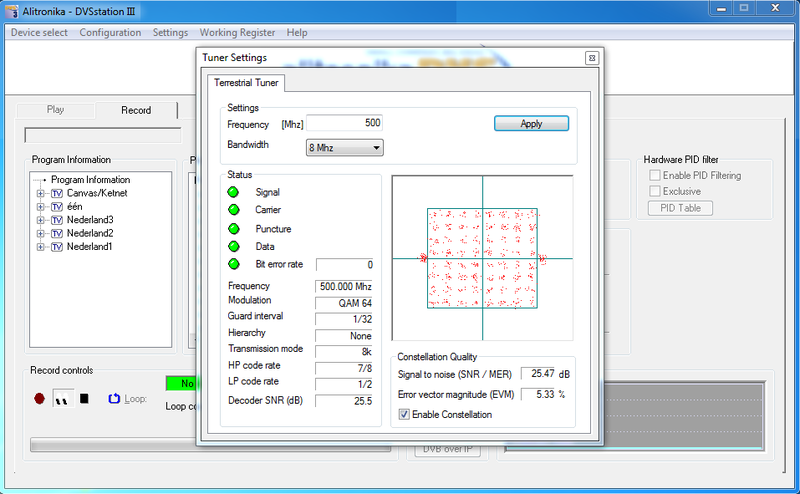 - High Band: 434.0 MHz to 858.0 MHz. - Mid Band: 149.5 MHz to 426.0 MHz. 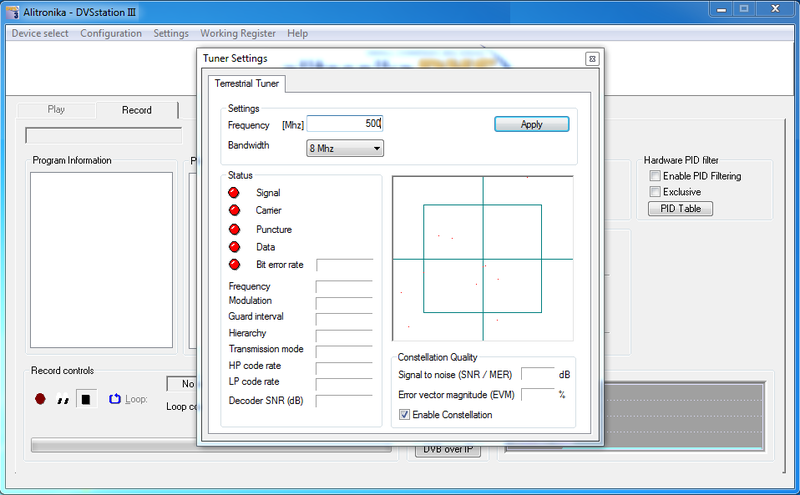 - Low Band: 50.5 MHz to 142.5 MHz. Supports hierarchical & non-hierarchical modes. Supports 188, 204 Transport Packet Sizes. Simultaneous two Serial ( ASI ) and one Parallel ( SPI ) Outputs. Supports DVB According to Standard A1010 Rev1 and EN50083. DVB-T to DVB-ASI & DVB-SPI Converter. MPEG-II Transport Stream Recording, Monitoring, Playing & Processing. Loop Through Connector: 75 Ohms IEC male Type. High Band: 434.0 MHz to 858.0 MHz. Mid Band: 149.5 MHz to 426.0 MHz. Low Band: 50.5 MHz to 142.5 MHz. Channel Bandwidth:6, 7 & 8 MHz. COFDM Spectrum: 2k and 8k carriers non-hierarchical and hierarchical. Standards: DVB-T2, DVB-T, DVB-C compliant. Guard Interval Modes: 1/4, 1/8, 1/.16, 1/32. DVB-ASI Connector: 75 Ohms BNC. Output Signal level: 1.0Vp-p nominal. DVB-ASI Output Bit Rate: 0 to 214 Mbit/s. 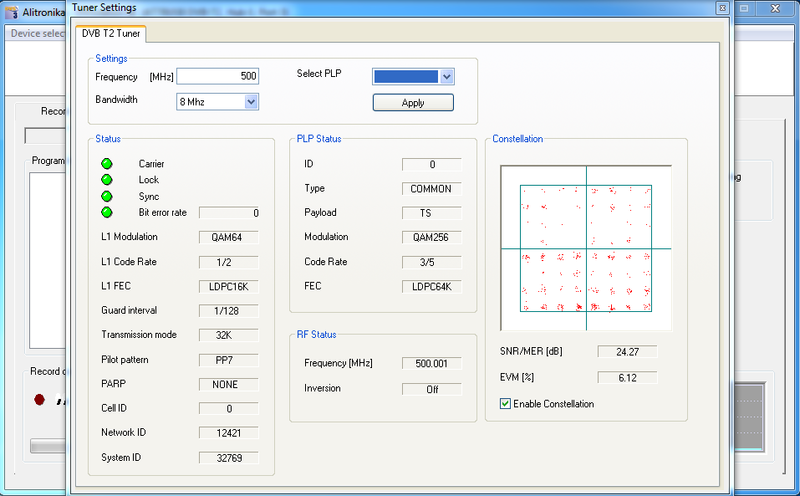 DVB-SPI Output Bit Rate: 0 to 108 Mbit/s. DVB-ASI Output Clock: 270 MHz. DVB-SPI Output Clock: 0 to 13.5 MHz. 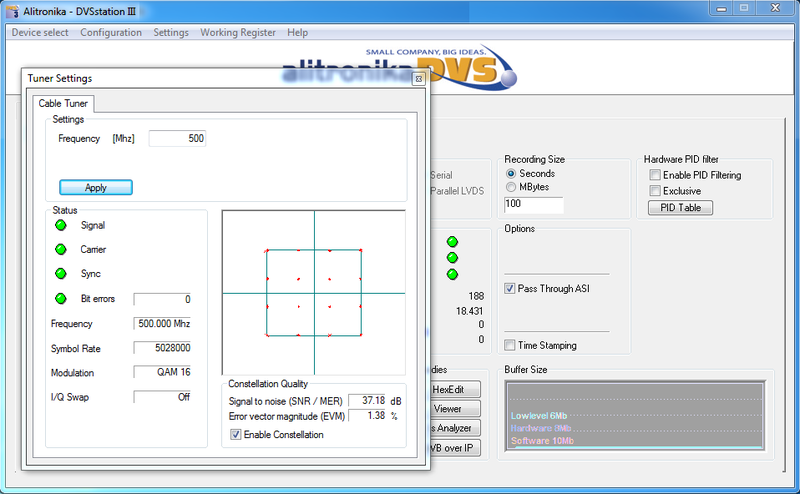 DVSStation3/4/IP: Alitronika devices are supported by DVSStation3/DVSStation4 or DVSStationIP, Alitronika's FREE Transport Stream Player, Recorder, Analyser and converter application software. Please refer to the specification and User Manual of these applications for more information. Even better please download them from our website and try them out. They works in DEMO mode without any Alitronika devices. As well as the Integrated Quick TS Analyzer, TSReadersupport these devices.